If you want the best and most reliable service providers to take care of your lock issues, give our Professional locksmiths a call. Our Waxahachie locksmiths experts can handle any locksmith job, big or small. Most important, our experienced locksmiths in Waxahachie deliver you minimum of sixty days warranty for every residential or commercial job and some automotive jobs offered with extra warranty. All of Our technicians are licensed and professional bonded and insured so you can trust us and let us to provide you the best locksmith experienced for your safety and all your security needs in one stop solutions we provide the complete lock and keys solutions in Waxahachie Texas with many happy customers you can find out how Many good feedbacks in the social media from real consumers. Only Qualified and Expert Locksmith can deal with your Auto locksmith needs from unlock car doors to replacement car keys and ignition cylinder repair we are the most expert and professional locksmith’s in Waxahachie Texas. we have been working on cars and trucks since the early 90’s and we have the ultimate experience with automotive locks and ignition replacement solutions. once you call us we can assist you with the most relevant information and in most cases we can provide you quote over the phone because we have the experience with many car brands and mostly all of the automotive lock and keys issues. we also programming new automotive keys and most of the newest proximity keyless remotes whenever you have an existing key or even if you lost the only key for your car we can help you with new set of keys. When you move to a new property you never know who has a key to your property so the most recommended thing you can do is to Rekey your locks so you can make sure you can control who have the key to your property and make sure to avoid unwanted persons be able to enter your property. 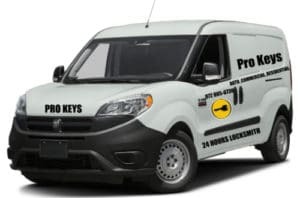 our rekey locks services in Waxahachie Texas been offers affordable rates and friendly service to make sure you will be satisfied with our finest rekey services. we are open 24 hours of rekey locks services and ready to assist you anytime so don’t wait and give as a call.